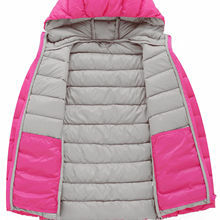 Girl's Hooded Down Jacket - Warm, lightweight, windproof, packable. 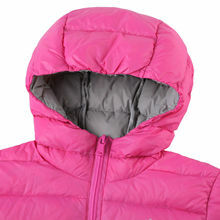 The light weight down jacket is comfortable for a wide range of temperatures and activities. The insulated winter jacket that packs down small and fits easy in a backpack. Great for casual wear and outdoor activities like skiing, snowboarding, skating, camping, traveling, hiking with family or friends. The quality outer fabric help to prevent heat from lossing when girls are in school or playing outside. 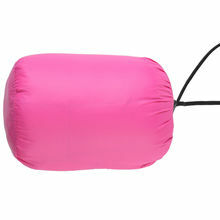 2 hand warm pockets & 2 inside deep pockets, great for keys, phone, wallet & small items secure. 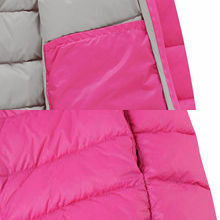 The winter jacket filling with white duck down offers great warmth while not bulky in cold days. The ultra light down jacket can be packed into a small pouch for easy carrying, also can save a lot of space for wardrobe and suitcase.